Use when you tend to be distracted and need to put your feet on the ground and be more practical. 5 drops of Bergamot (to give it a fresh tone) Stir well. At night, before bed, squeeze a small amount on the palm of your hands. Rub your hands and close your eyes. Take a deep breath and visualize the feeling of being rooted and nourished by the earth. Experience the feeling of being stable, supported and secure. Then open your eyes, put some more oil on your fingertips and massage your lower back and soles of your feet. 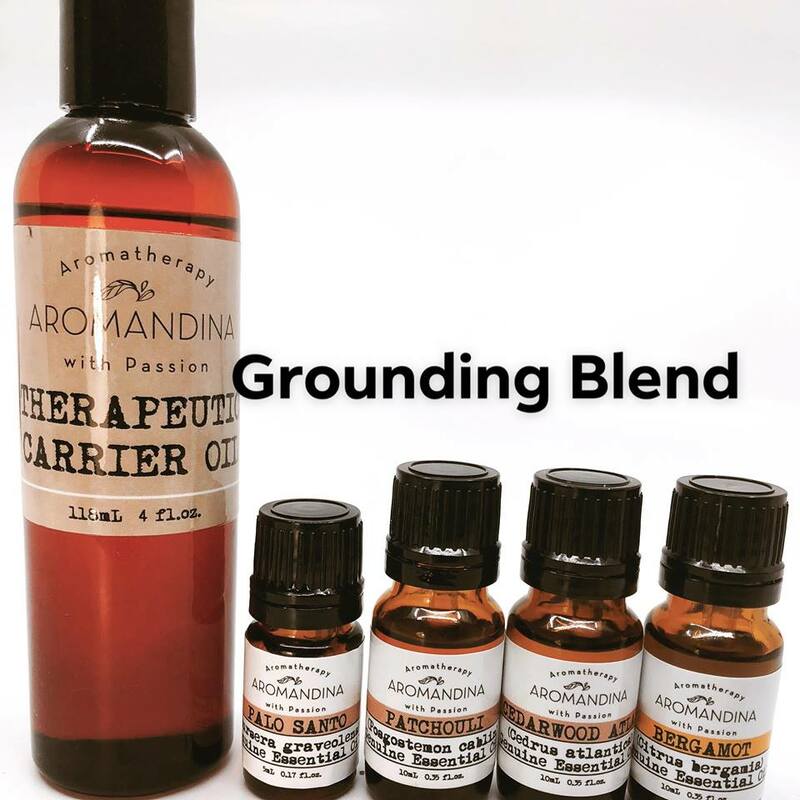 This aromatherapy blend will help you meditate and feel more detached from worldly thoughts. Close your eyes, take several breaths. As you breathe in, feel the scent of this blend lifting up your spirit, separating you from the worries of the day into a calm space. You can also put 1 drop of each oil on a tissue, you can carry it around with you and inhale often. Use it as many times as you need to relax and reconnect with your higher consciousness. Palo Santo’s calming and soothing qualities make it an excellent ingredient for a sleep-well bath. Add this preparation to your bath water. While soaking in the water visualize that all your troubles and worries of the day are flowing down the drain. Allow the calming qualities of Palo Santo to provide strength and wisdom, and the assurance that tomorrow will be a better day. The combination of Palo Santo with German Chamomile is beneficial for all sorts of inflammations and with arthritis pain. Apply topically on the affected area, as many times as you need to. References:  Cancer chemoprevention and therapy by monoterpenes. Inhibition of protein prenylation by metabolites of limonene. 3 STEPS TO A GOOD NIGHT SLEEP! © Cristina Proano – Aromatherapy blog – All rights reserved This information on this blog is based on the traditional use of aromatherapy, and it does not intend to diagnose or treat any condition. This information should not be used as a substitute for medical counseling with a healthcare professional. No part of this blog may be reproduced in whole or in part without the explicit written permission of Cristina Proano.